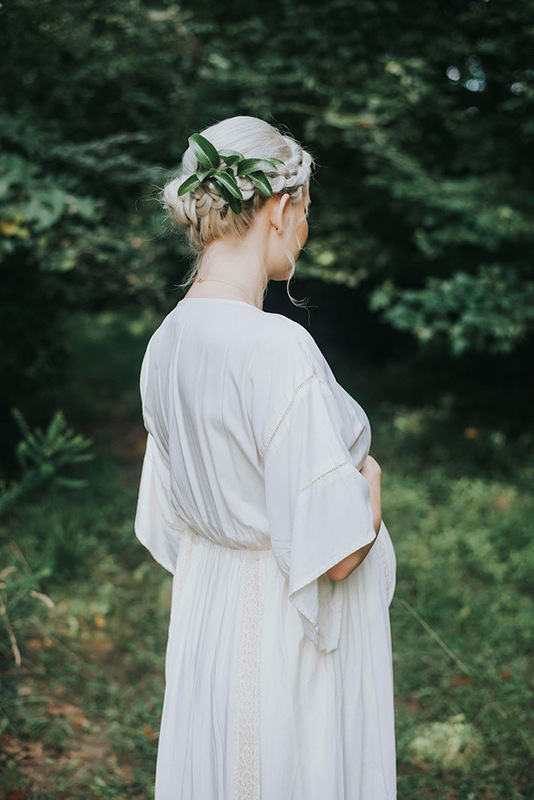 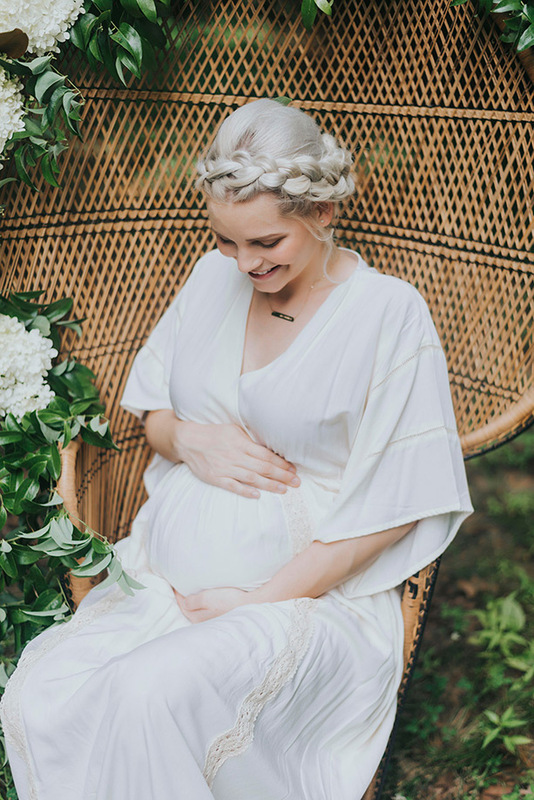 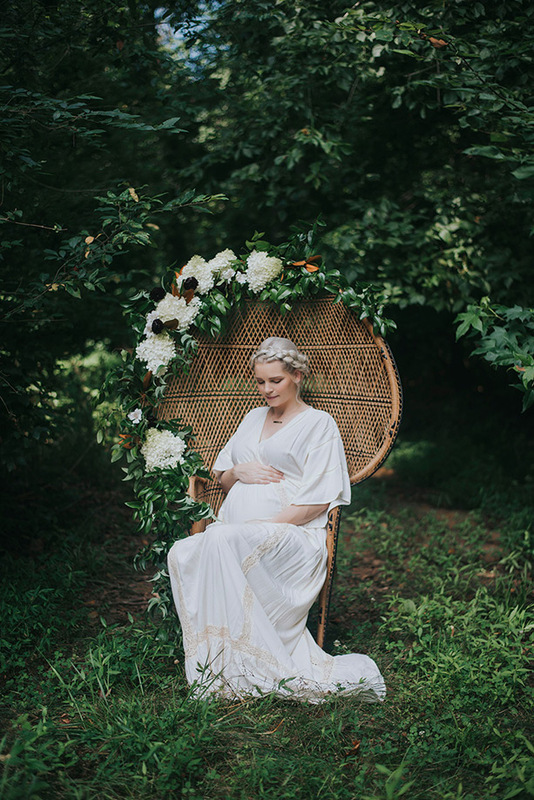 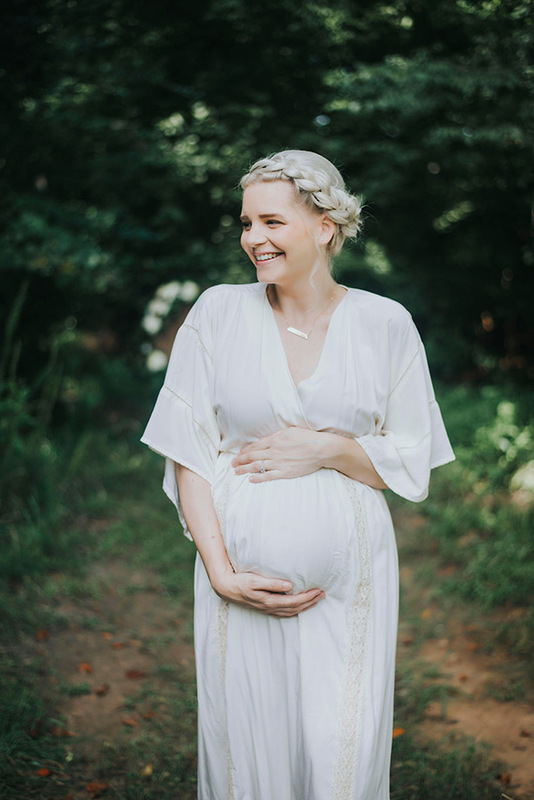 Doesn’t Rebecca look so glowing and gorgeous in her boho botanical maternity photos as captured by J&A Photography? 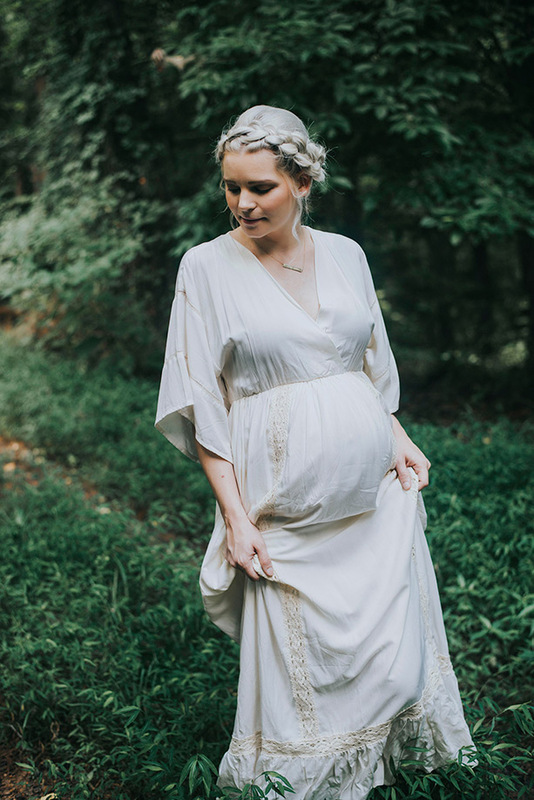 Natural, neutral maternity photos and showers will always be some of our faves for celebrating a brand new life. 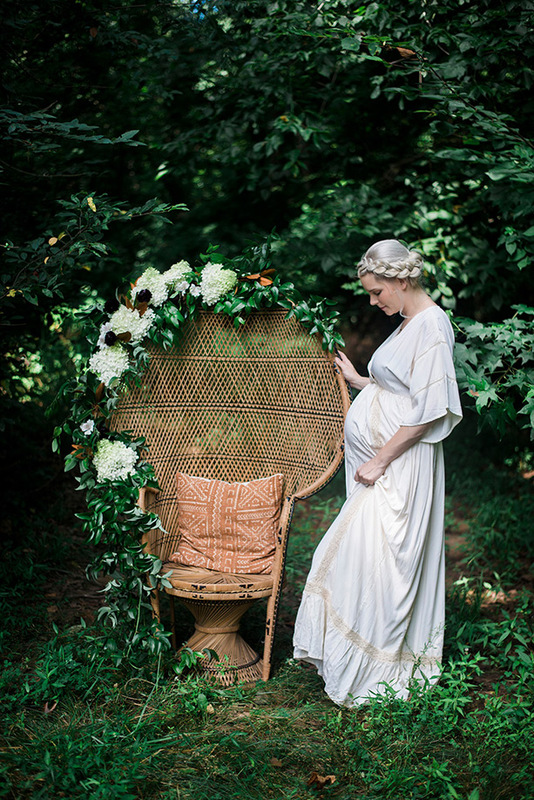 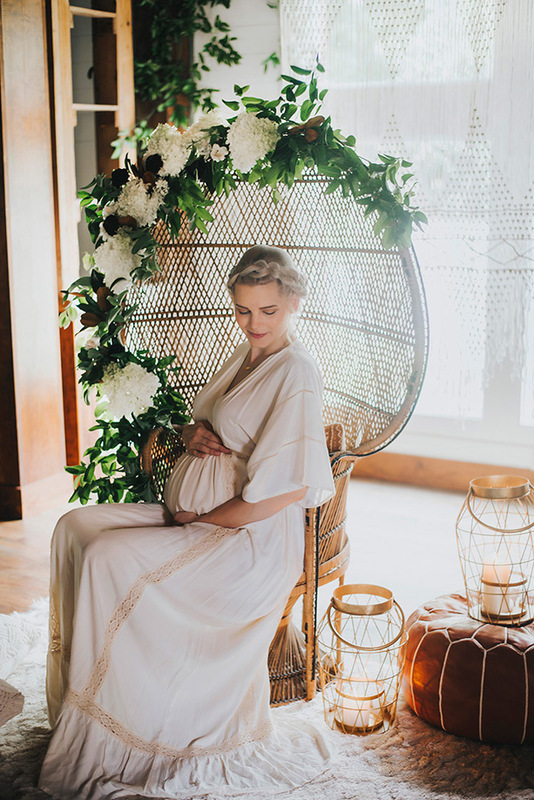 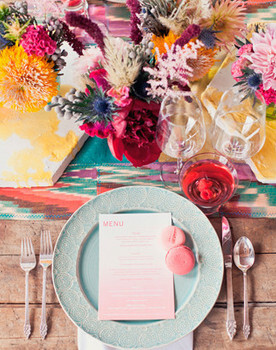 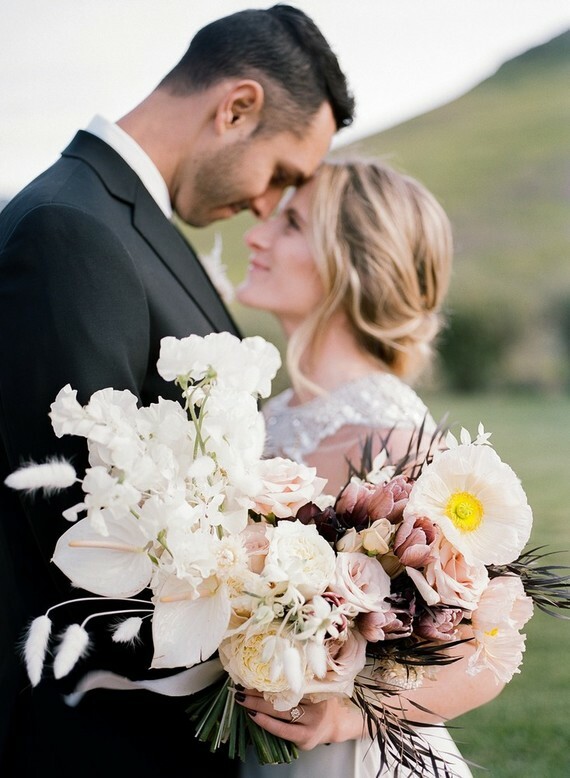 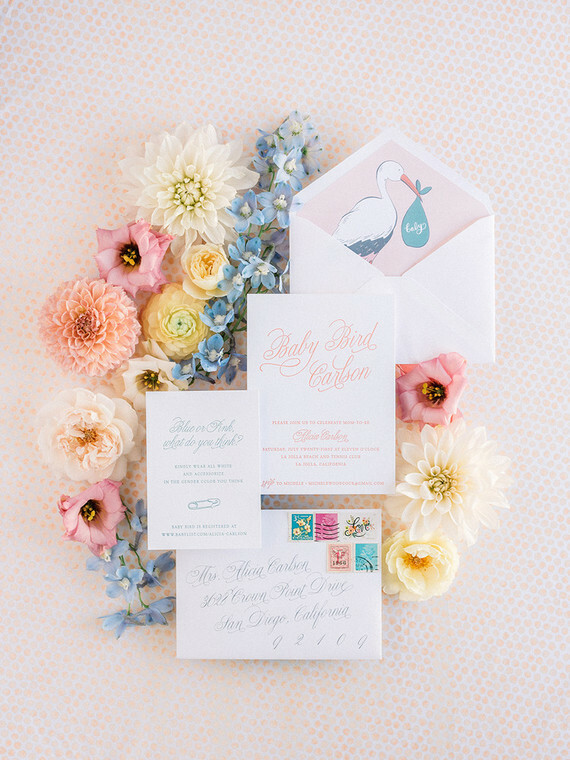 When dreaming up this shoot + celebration for her forthcoming bebe Oliver Finley, Rebecca was inspired by a floral-adorned peacock chair and the enchanting surroundings at The Granary at WinMock at Kinderton in North Carolina. 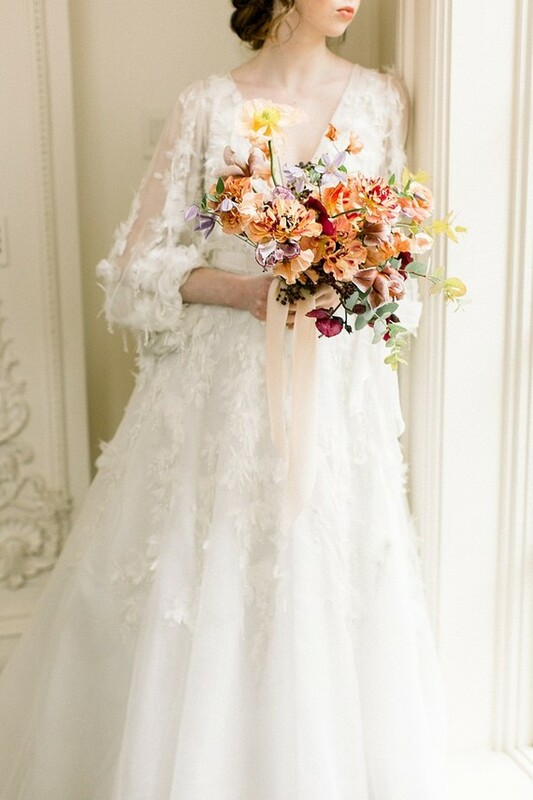 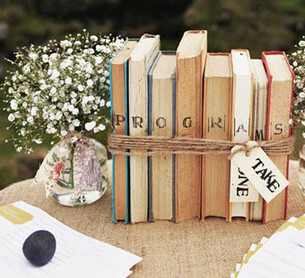 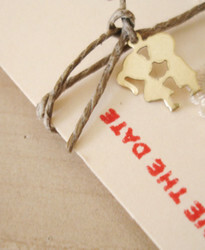 Pretty dreamy muse, if you ask us! 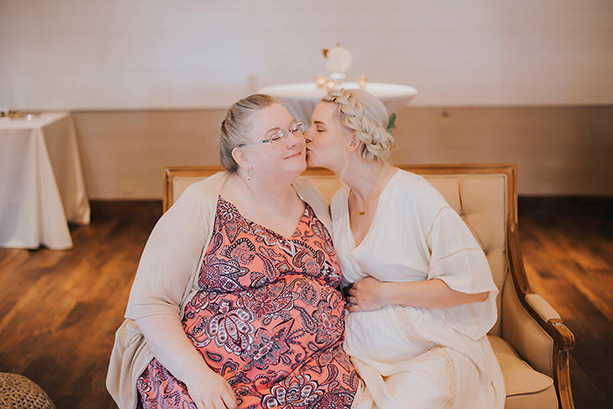 Love your hairstyle too, mama! 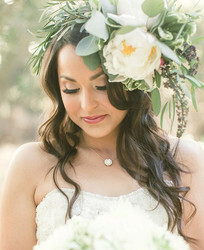 All this primping was done by NC’s Face Forward. 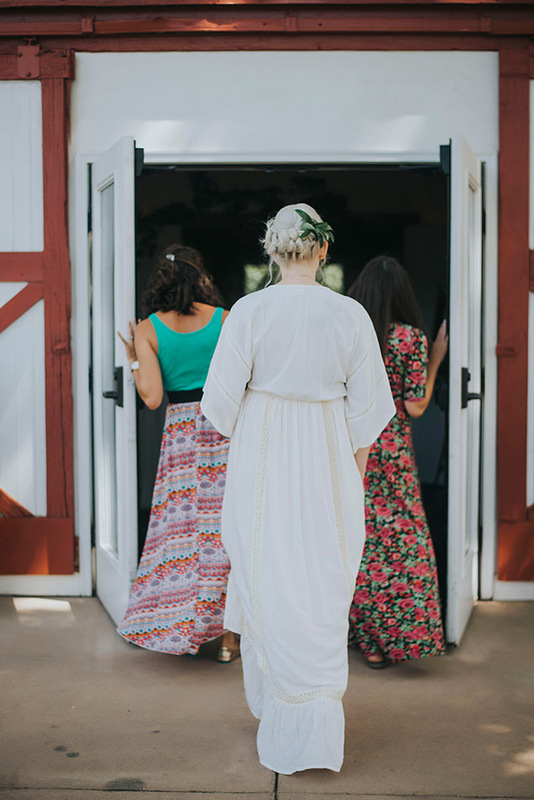 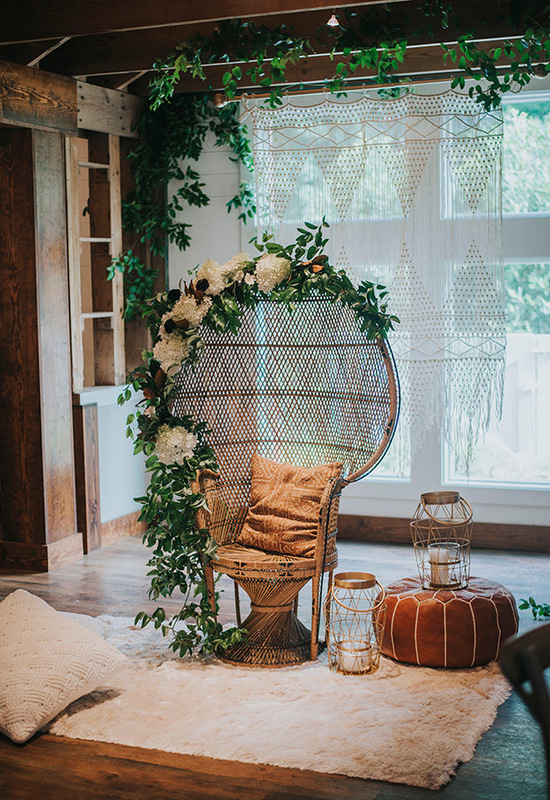 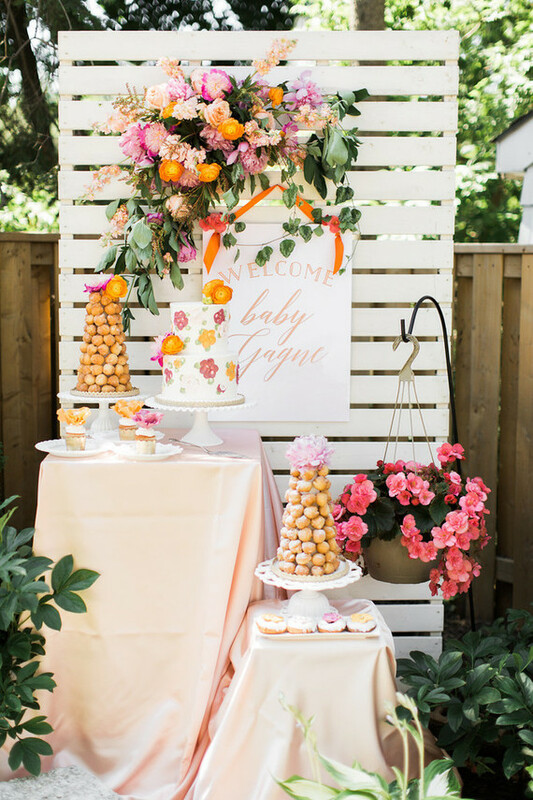 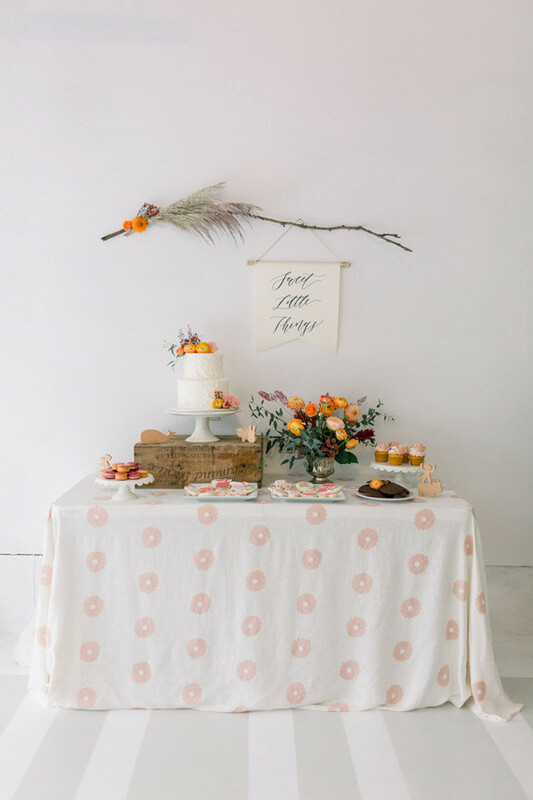 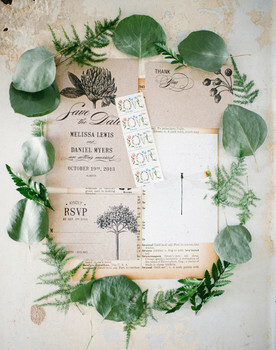 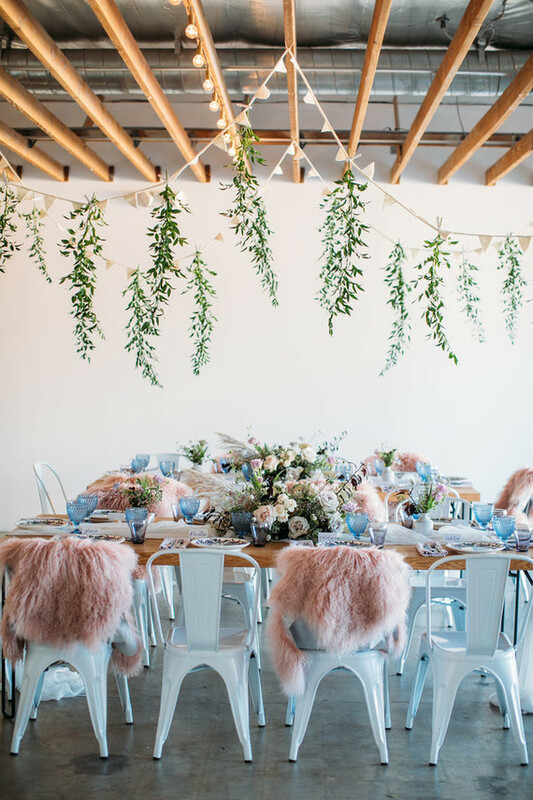 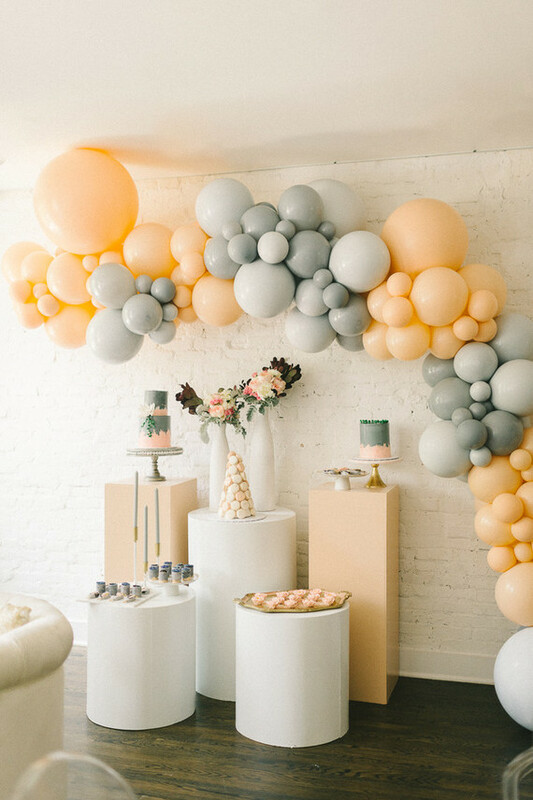 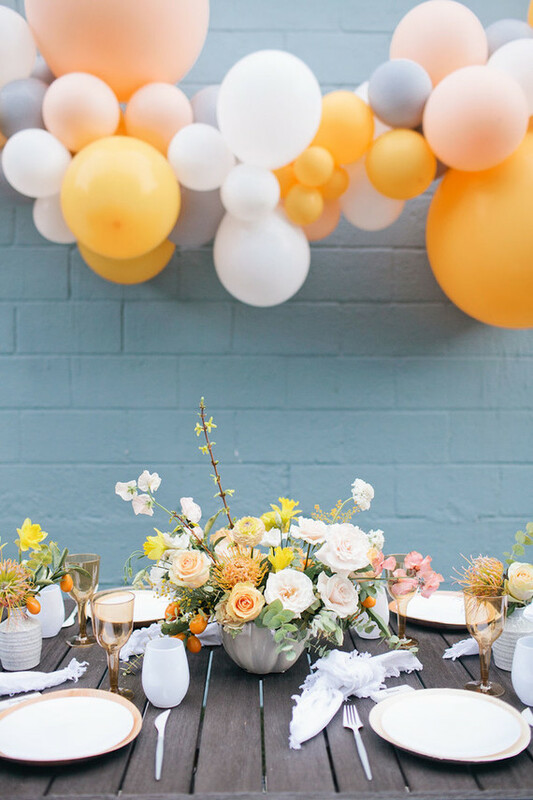 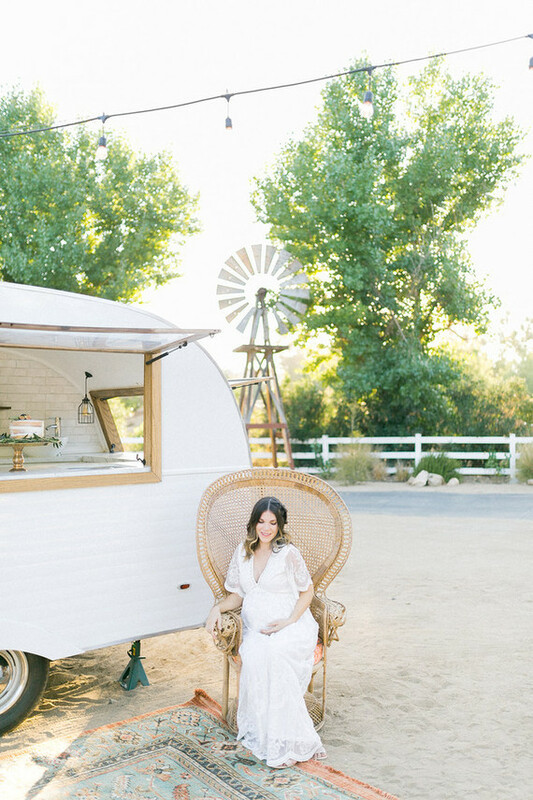 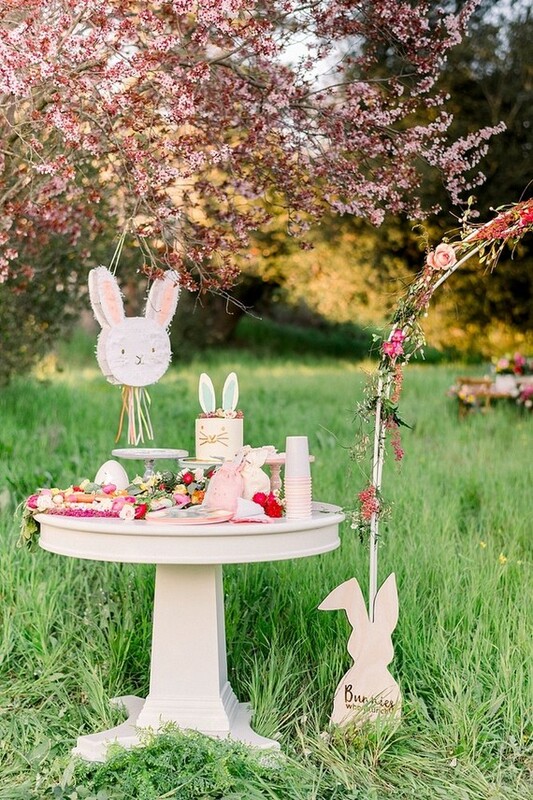 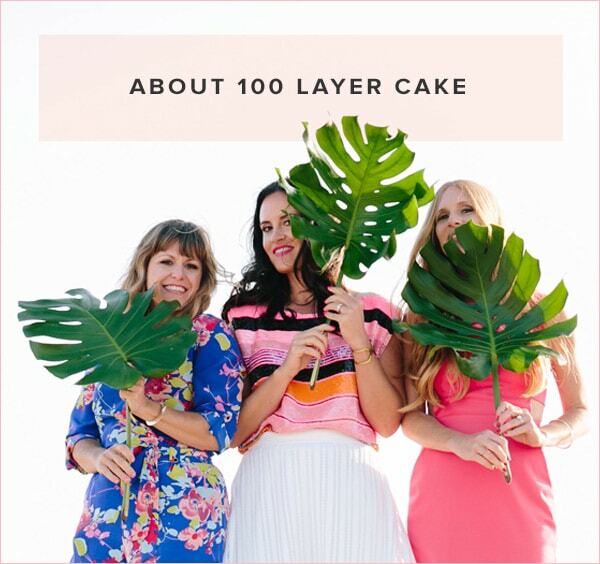 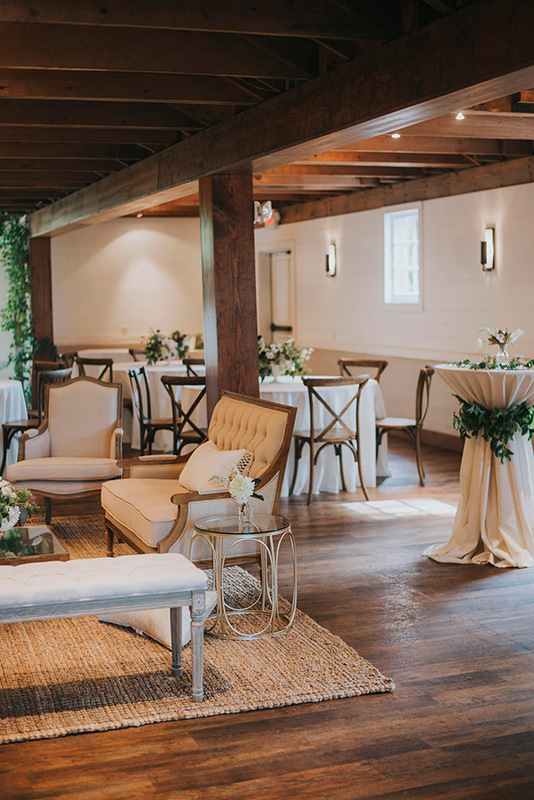 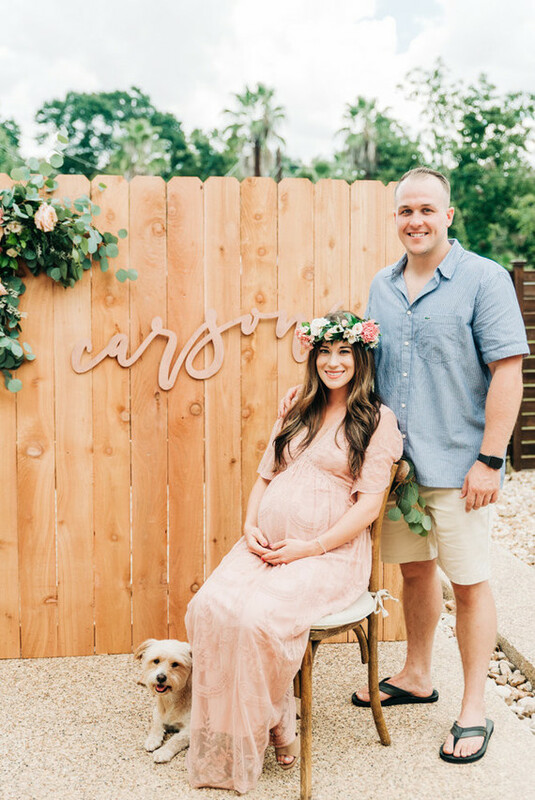 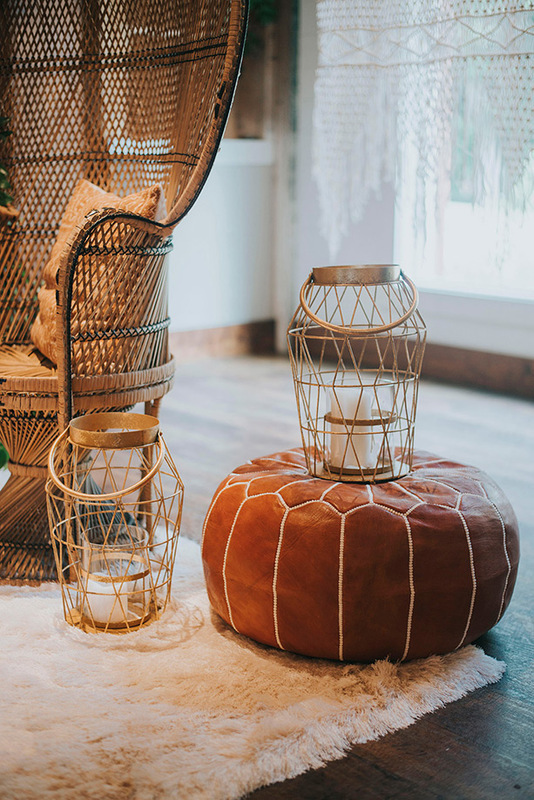 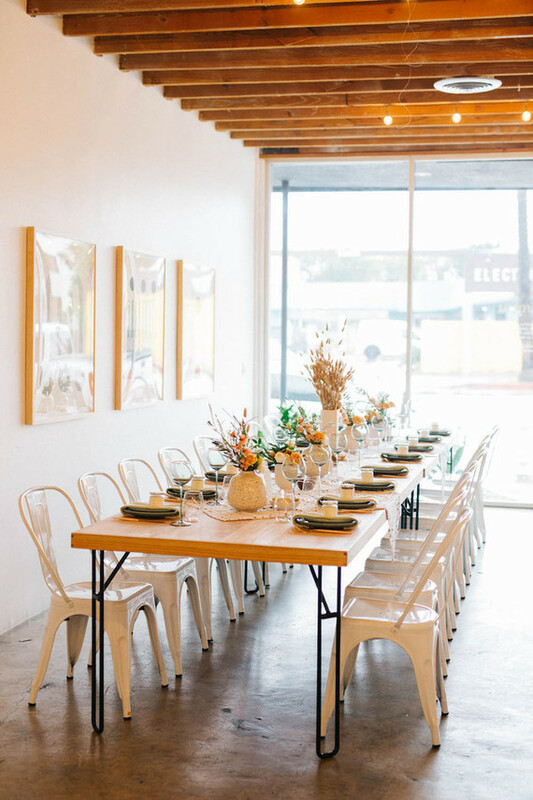 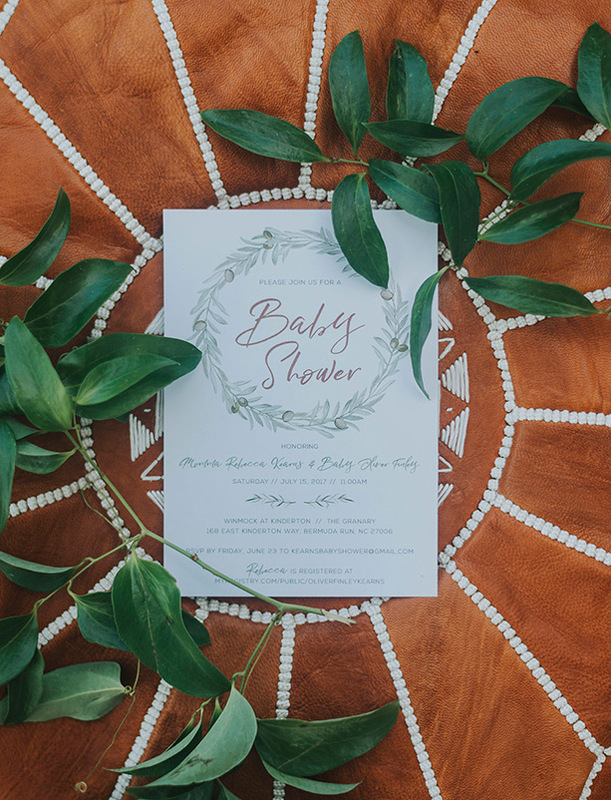 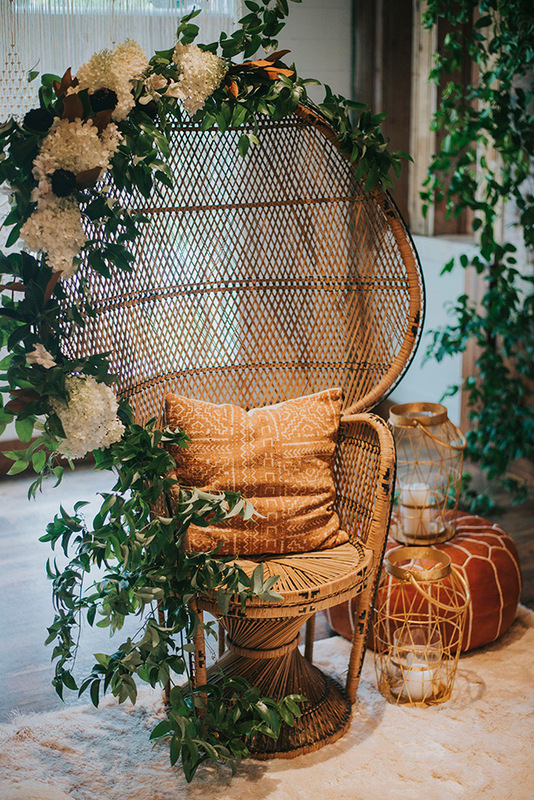 Rebecca says, Working in the event industry myself, we were able to partner with the best of the best to put on the most dreamy boho baby shower dripping with greenery and copper accents. 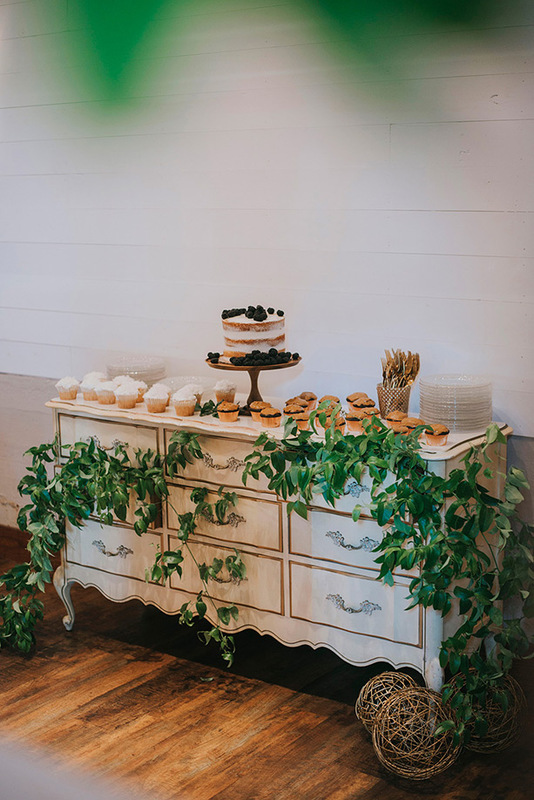 I adore neutrals, and after finding out we were expecting a boy, I wanted to incorporate that love for ivory, wood details, and natural elements into his celebration. 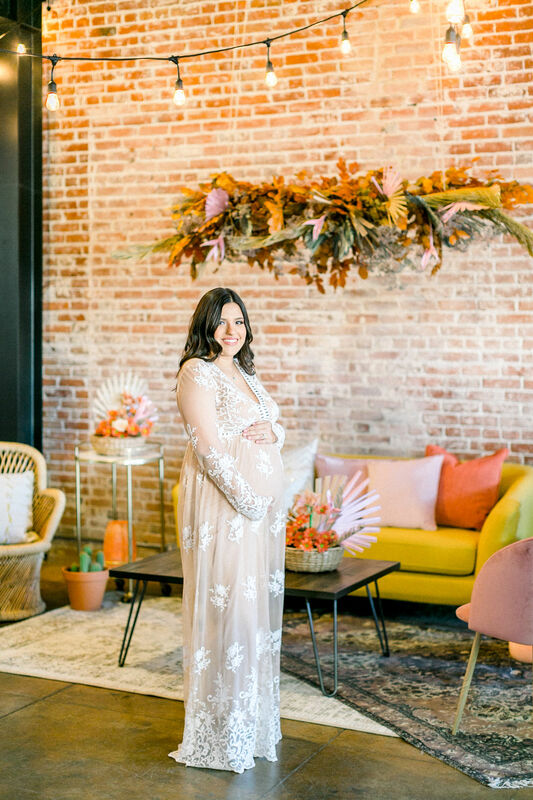 As for the shower, she wanted to make sure there was plenty of space for her to mingle and catch up with loved ones, so they put together a cozy lounge area and dessert spread with vintage furniture by The Prettiest Pieces. 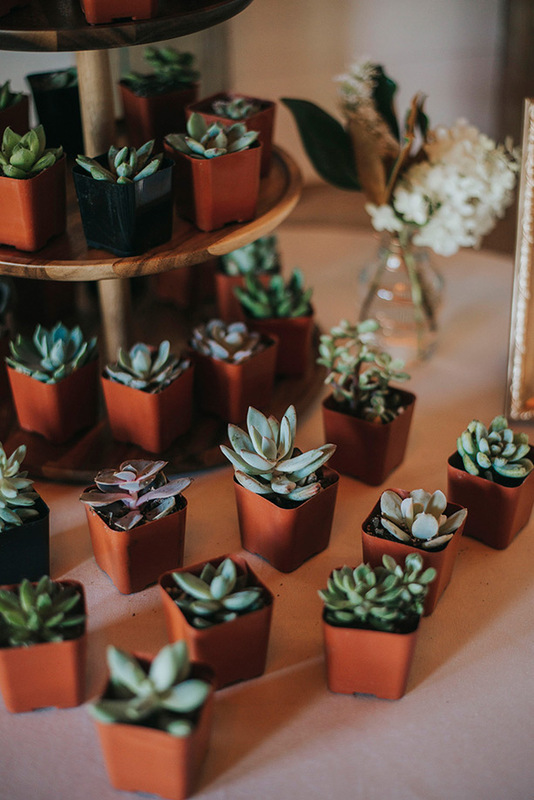 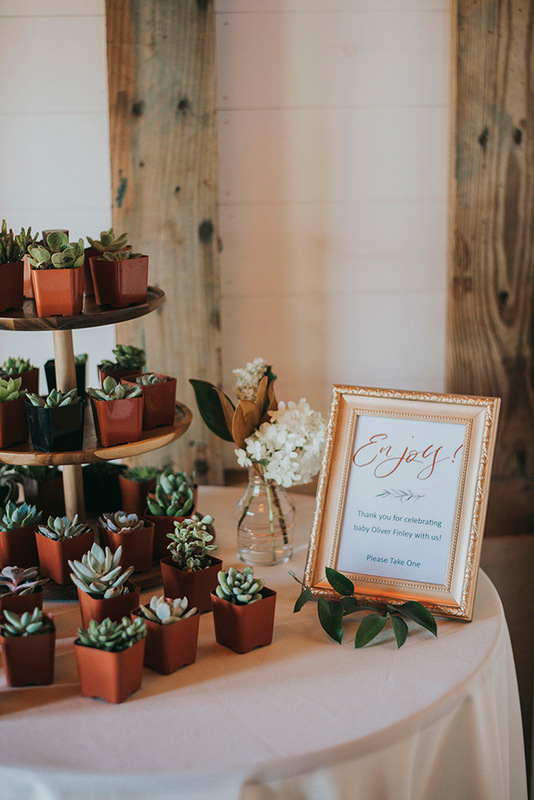 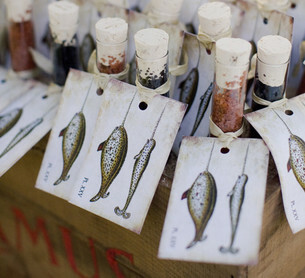 Rebecca has a love for all things earthy so she made sure there were cute lil’ succulent favors for guests to take home. 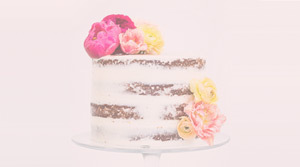 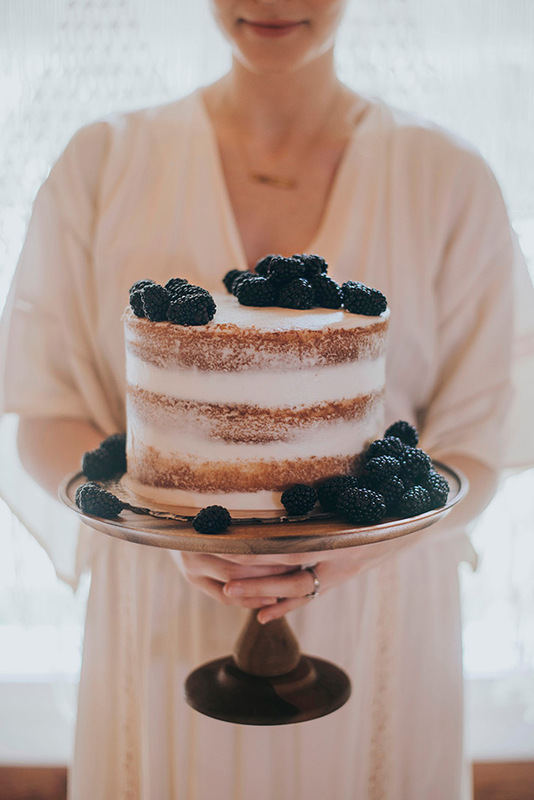 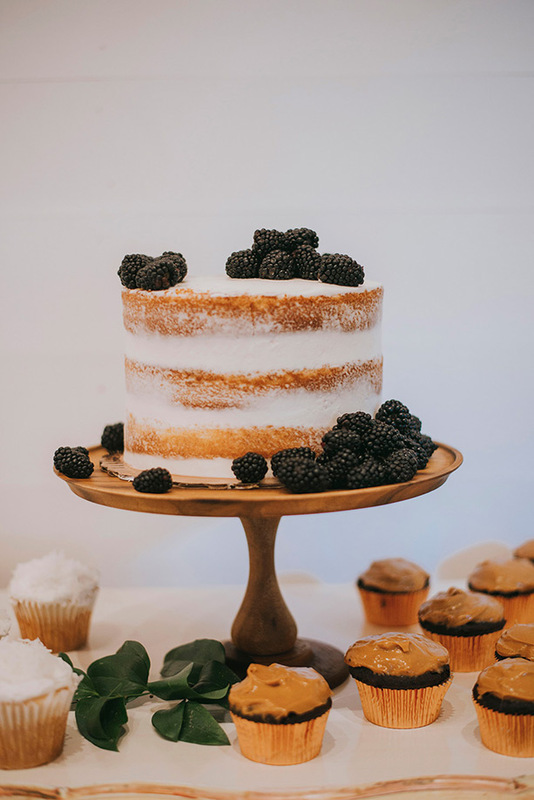 My mother made the most delicious cupcakes to pair with the vanilla layered naked cake—coconut, my absolute favorite, which is even made with coconut milk, along with chocolate topped with dulce de leche frosting were both such a hit that my mother even ended up sharing the recipes. 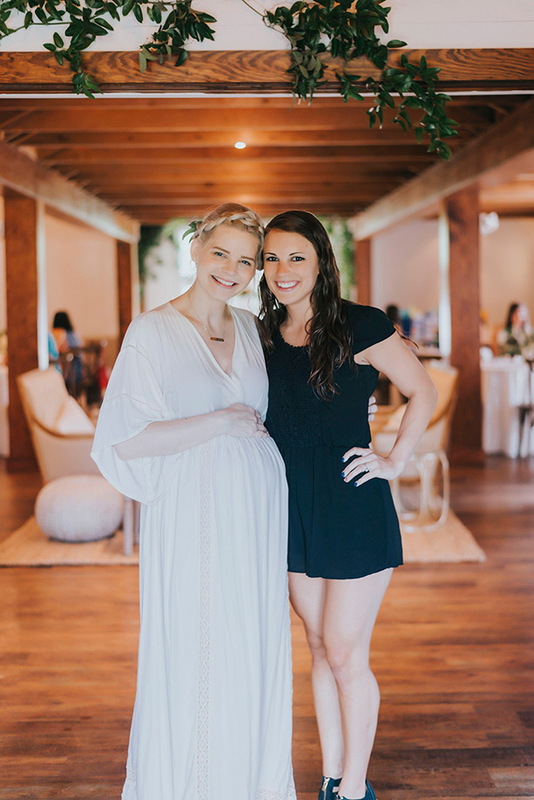 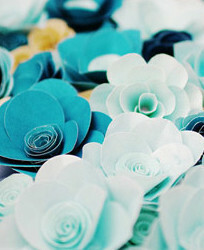 Best wishes to Rebecca + baby Oliver!